Have the endless PIB rays activated your sweet tooth? Look no further! The Candy Bar is a sensory delight selling chocalates, fudge, taffy, and many other delectable treats. 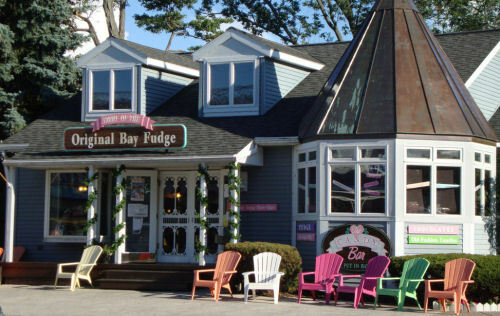 There are numerous options, especially seen in the fudge and truffle varieties. On the outside patio overlooking DeRiviera Park with Lake Erie in sight ice cream is available.